Mobile commerce may be speedily on the rise across the board as more and more consumers are turning to their smartphones for purchases. But speed is also a critical factor when it comes to keeping those same customers on a retailer’s mobile website – namely in how long it takes for a page to load. According to Think with Google, 40% of shoppers will wait no longer than three seconds for a page to load before abandoning a site. What’s more, 67% will click away if it requires too many steps to be taken to make a purchase or access desired information. And even if consumers lumber through a clumsy or sluggish site to get what they want, many won’t bother going through the troublesome process again. For a retailer like PureFormulas – the leader in online health and supplements, and one of the US’s fastest growing ecommerce players – where 65% of revenue comes from repeat customers, delivering a lightning-fast mobile experience is imperative for keeping customer satisfaction levels high. And so, in order to ensure it maintains its leading position in the race to keep shoppers from straying, the retailer has turned to Google’s exciting Progressive Web App (PWA) technology to deliver speed and agility every time a consumer fires their mobile. Adopting Mobify’s new Mobile Customer Engagement Platform, PureFormulas launched its very own Progressive Web App earlier this year to enable a super-fast browsing and purchase experience that behaves in much the same way as you would expect a native app to. 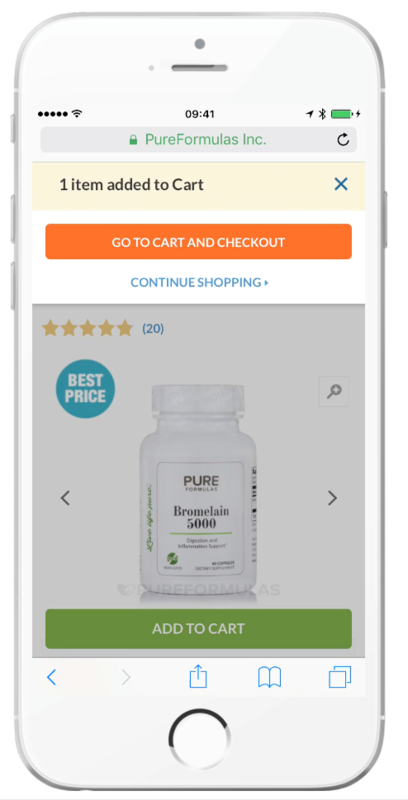 With push notifications, offline support, and add-to-homescreen functionality built into the PWA, the PureFormulas mobile web experience is delivered 2 – 4 times faster than regular responsive or m.dot websites, and is already increasing revenue-per-visit by 23% over the retailer’s previous mobile site. The spike in revenue comes from a 14% increased conversion rate combined with a 9% increase in average order value (AOV) – precisely the areas where PureFormulas felt they were lacking. As mobile page loads were taking far too long, and with a checkout process that was outdated and slow, the retailer was suffering low conversion rates and high cart abandonment rates, according to Servinga. Recognizing that this simply wasn’t good enough at a time when mobile traffic was growing, it’s been Mobify’s Progressive Mobile approach that’s been able to give PureFormulas’ customers the faster and more streamlined path-to-purchase on mobile they were crying out for. Talking of specifics, it’s the implementation of Google’s Payment Request API that has been particularly adept at reducing cart abandonment for PureFormulas. Enabling fast, seamless, and secure payments across different devices, browsers, and payment gateways, the new payment solution is able to almost completely eliminate the need for users to fill out checkout forms. It does so by pulling customer data – name, address, shipping details etc. – that is already securely stored on the user’s browser and automatically inserting this information into the order. The result, according to Mobify, is a checkout process that requires half as many clicks and is four times faster to complete. 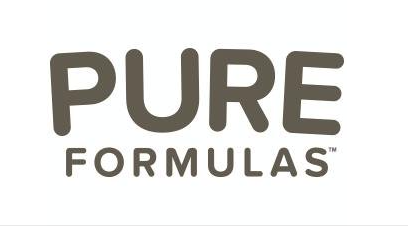 “Being exemplary at PureFormulas means serving new and existing customers in a personalized way,” she says, and with the results that PureFormulas has shown with the new site in such a short time, it’s difficult to disagree that that’s exactly what the retailer has achieved. With 46% of cart abandonments happening at the checkout stage, streamlining the process is imperative for all retailers competing on mobile. PureFormulas has done that in no uncertain terms. What’s more, combined with the vastly improved page speed that the PureFormulas new site is able to deliver, the partnership with Mobify is proving to be a successful one, and indeed highlights the potential for PWAs to become the next big thing for brands wanting to deliver the best mobile website experiences for their customers. Hear Daniel Moure, CMO at PureFormulas, for his session Turning Data Points into Actionable Information at Mobile Shopping 2017 this October. Download the Mobile Shopping 2017 Agenda to learn more.